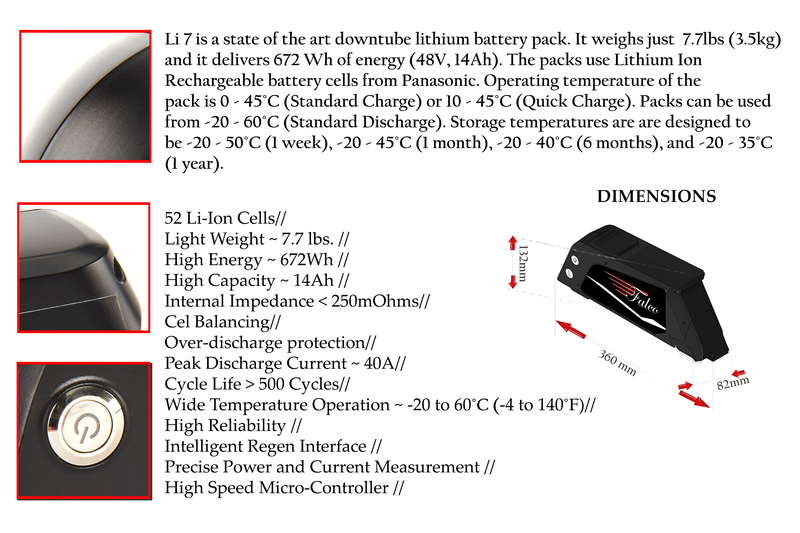 48V, 14Ah Lithium Ion Battery with Falco Battery Management System and Panasonic Cells. This is a downtube battery pack. The pack merely weighs 7.7 lbs. 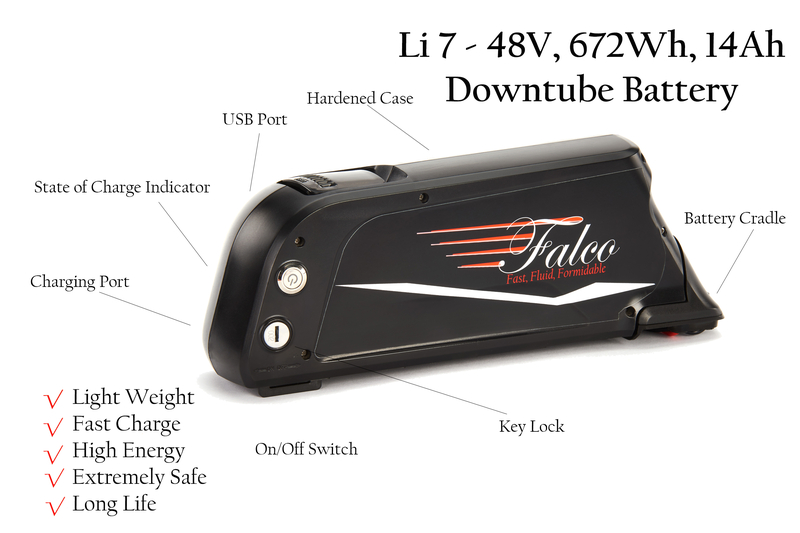 The battery holder can be easily installed on most bicycles and battery can be taken out for charging. Over current Protection Cell Balancing, Temperature Protection, Over charge and Over Discharge Secondary Protection, Over current and Temperature Protection are some of the standard available protections in the pack. This includes holder, charger and keys. Download one to one Battery Template. Below is the bottom view of the battery holder plate.